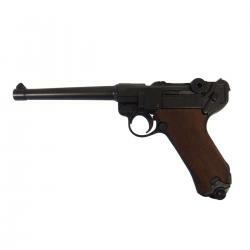 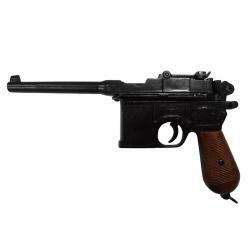 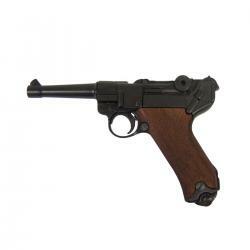 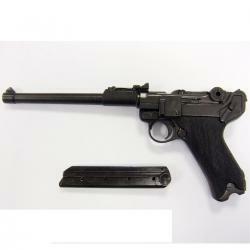 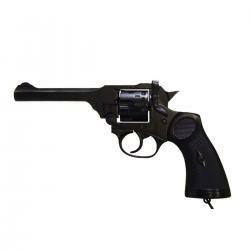 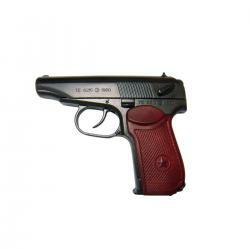 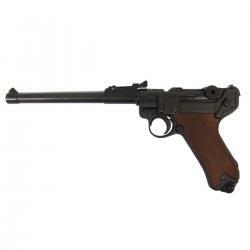 Dimensions: 24 cm / 9,4"
Reproduction of a pistol, made of metal and engraved wooden grips, with simulated mechanism of loading and firing, functional safety buttons, detachable barrel and removable magazine. 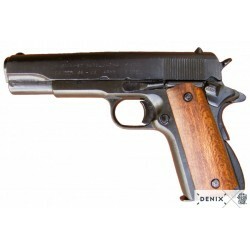 The M1911 is a robust, reliable, simple-action semi-automatic pistol operated by direct recoil and powered by 7-caliber .45 cartridge die stacker. 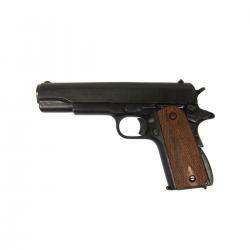 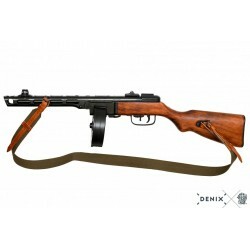 It was designed for the military use by John M. Browning, who also designed the appropriate cartridge for the weapon, the .45 ACP. 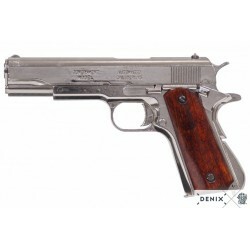 On March 29, 1911, it was officially accepted as a statutory weapon of the US Armed Forces, initially receiving the designation of the .45, M1911 Semi-Automatic Pistol. 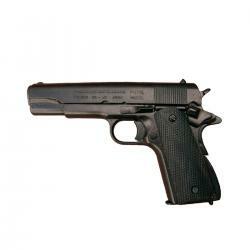 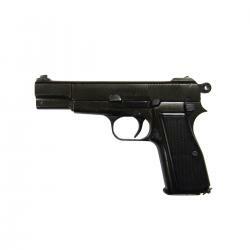 Subsequently from 1924, its designation changed to Pistol Auto Caliber .45, M1911A1. 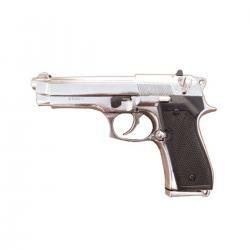 In total, the army acquired about 2.7 million pistols during its service life. 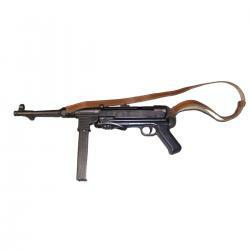 It had widespread use in World War I, World War II, the Korean War and the Vietnam War. 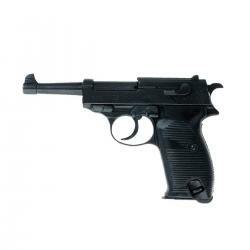 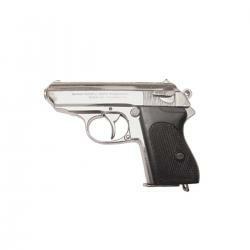 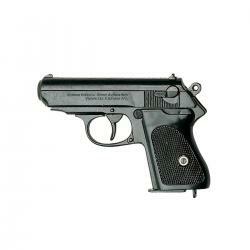 It remained in service continuously in the American army until 1985, when it was replaced by the Beretta gun. 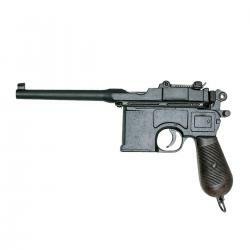 Some variants are still in production, and given their popularity, they are still active in some units of the Special Forces, Navy forces and Marine Corps. 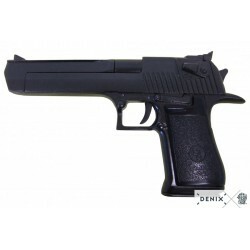 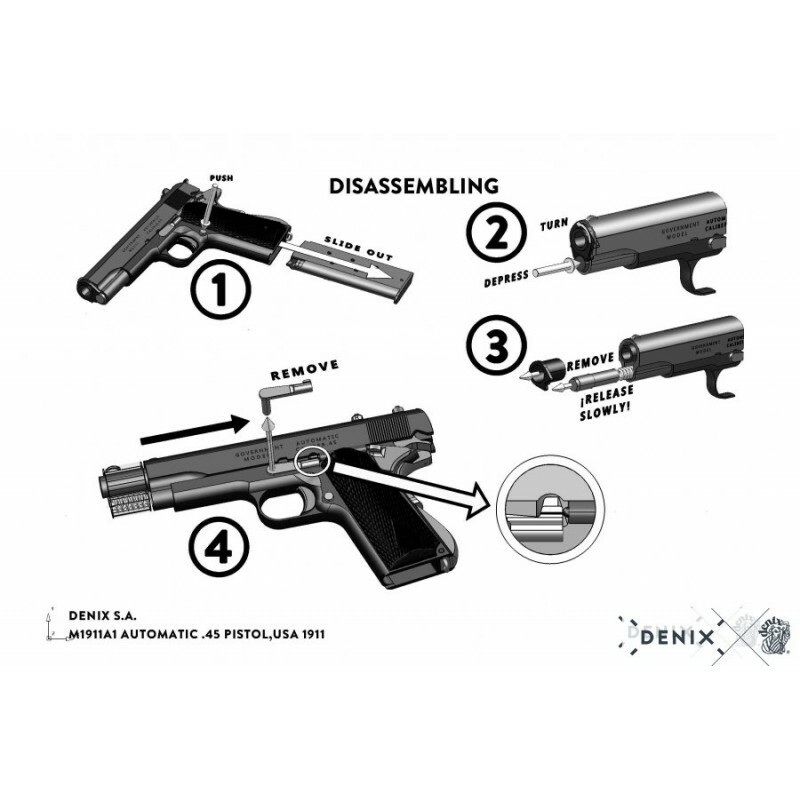 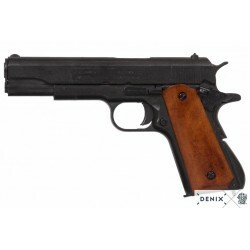 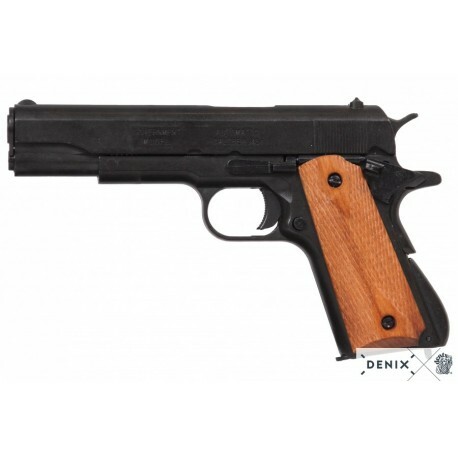 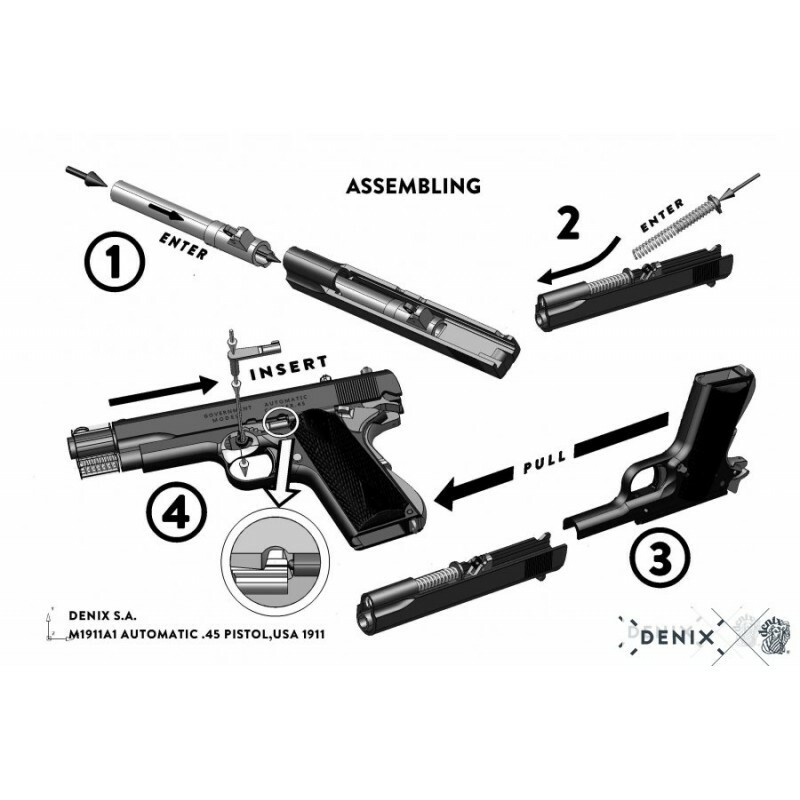 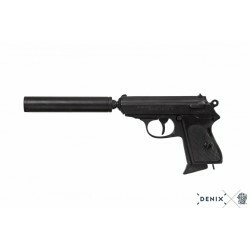 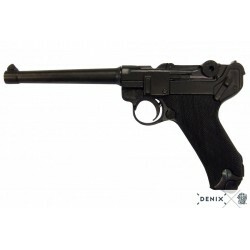 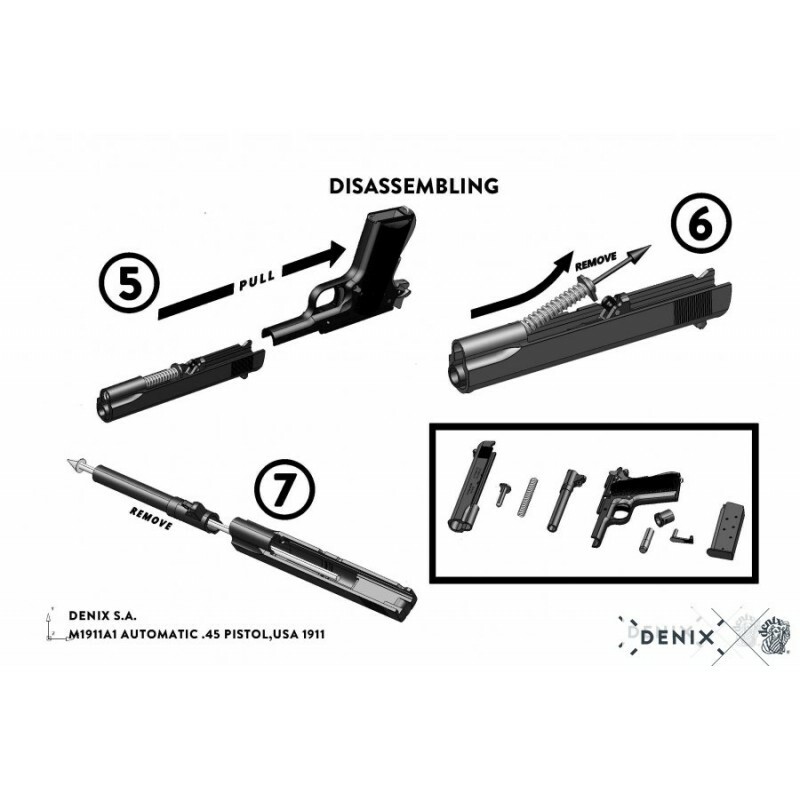 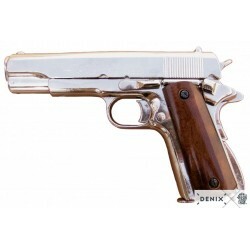 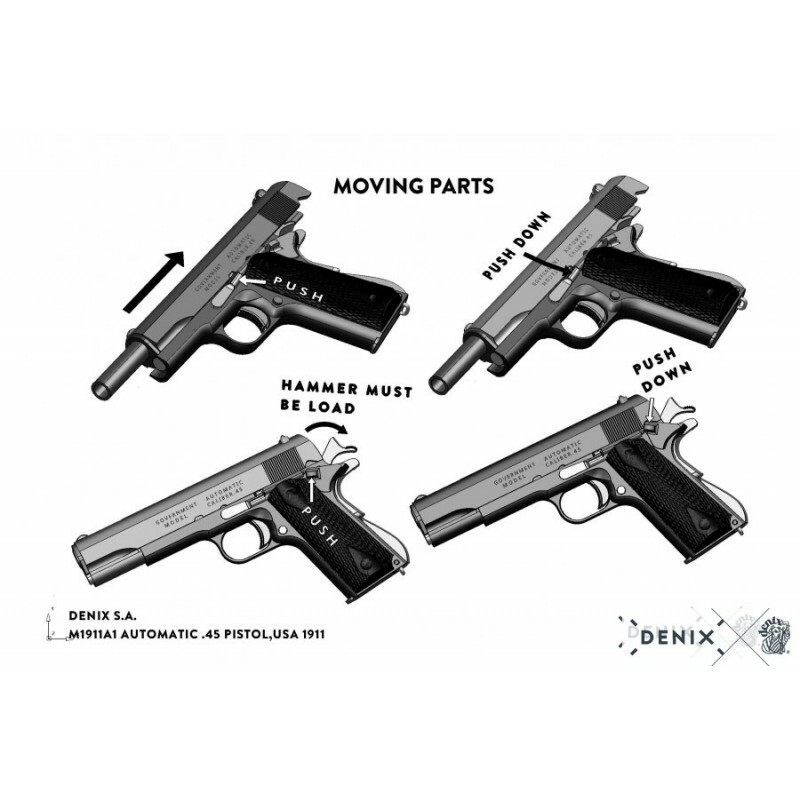 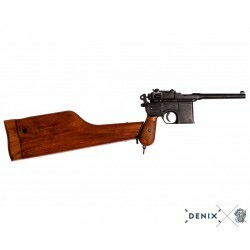 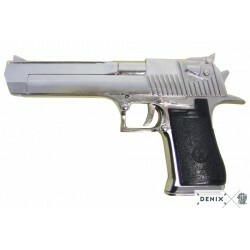 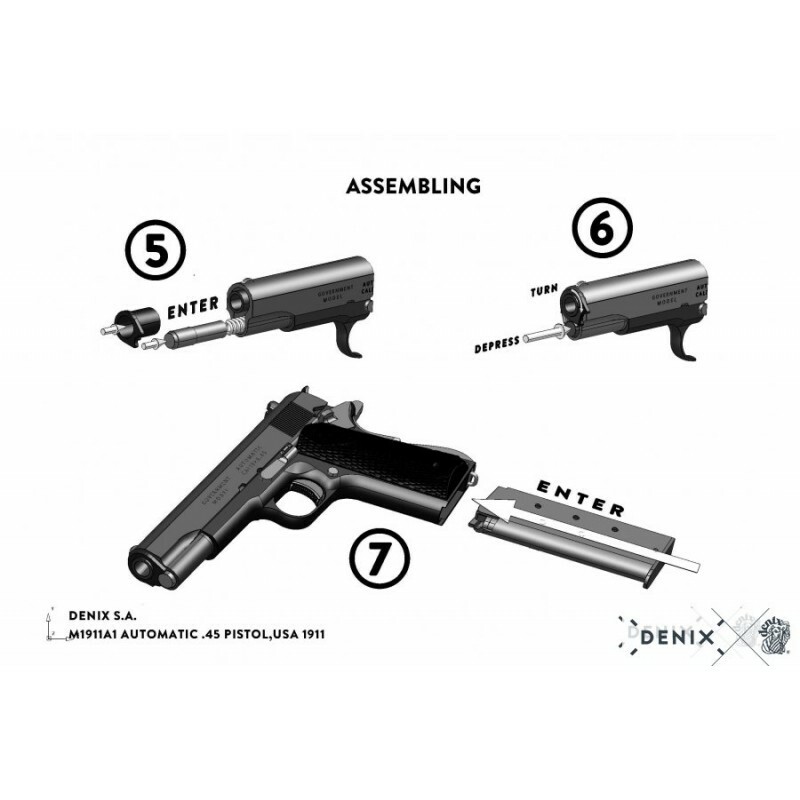 Relive the best battles in history with the Denix replica of one of the most famous pistols ever created!